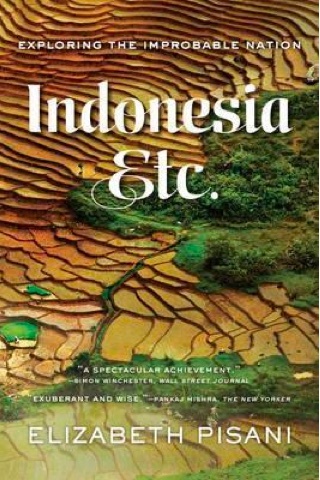 If you’re heading to Indonesia, or seeking to get even a slight understanding of this complex archipelago nation, Elizabeth Pisani’s beautiful Indonesia Etc: Exploring the Improbable Nation is essential reading. The former Reuters correspondent and epidemiologist travels extensively to research for the book, but entwines her experiences with her earlier stint as a journalist based in Jakarta, and the country’s fascinating history. For those familiar with Indonesia and frustrated to one-dimensional news analysis of the country in their home countries, this book is exceedingly welcome; for those who live here, it’s a relief to finally be able to point travelling friends towards a book that goes a very long way to, if not understanding then at least teasing out, the intricacies and challenges that face a nation of some 13,000 inhabited islands. Indonesia is much more than Java and Pisani goes the extra mile to explore a selection of the more far-flung places the average punter hasn’t heard of: Sumba is a highlight. That she takes many months to cover what is really a relatively small patch of the country demonstrates just how huge and varied it is. Her experiences serve to start making the nuances of the country accessible to outsiders and highlight just how amazing it is that Indonesia even exists as a single nation in the first place.